Have you ever wondered how a magnificent house came to be on an island? How the materials and the workers traveled day after day to build something remote and special? Who builds on an island, and why? Often these stories are lost over time, but the previous steward of Ram Island, who was responsible for its development into a habitable island, maintained a detailed account of this eventful and laborious process. It began on an unassuming day in 1979 when an enthusiastic buyer began a quest for salt water frontage somewhere along the St George Peninsula. 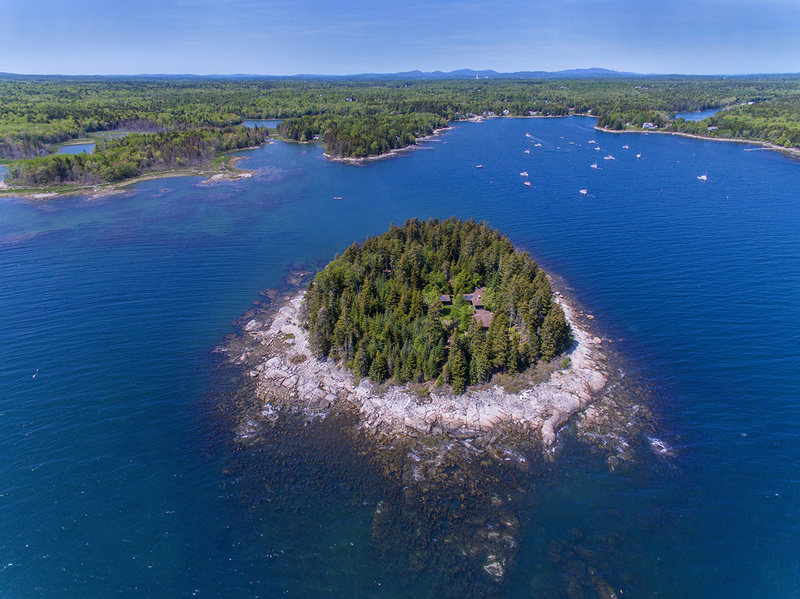 Ram Island, visible from the mainland, stood clearly against the blue sky and shimmering water of Wheeler Bay. The island was interesting, but not for sale. Later, the buyer viewed the St George peninsula from the air and the whole of Ram Island was apparent and represented in its true glory as a spectacular piece of property: fully wooded (no buildings yet) with a safe mooring, southern exposure to the open ocean, and a small sandy beach. The buyer made a phone call (several), an offer ensued, and suddenly an island traded hands. How exciting! Until certain facts (and a little panic) set in. Now what? The first and most pressing problem was how to access the island? The nearest public landing at the time was three miles away in Tenant’s Harbor which was not very practical. 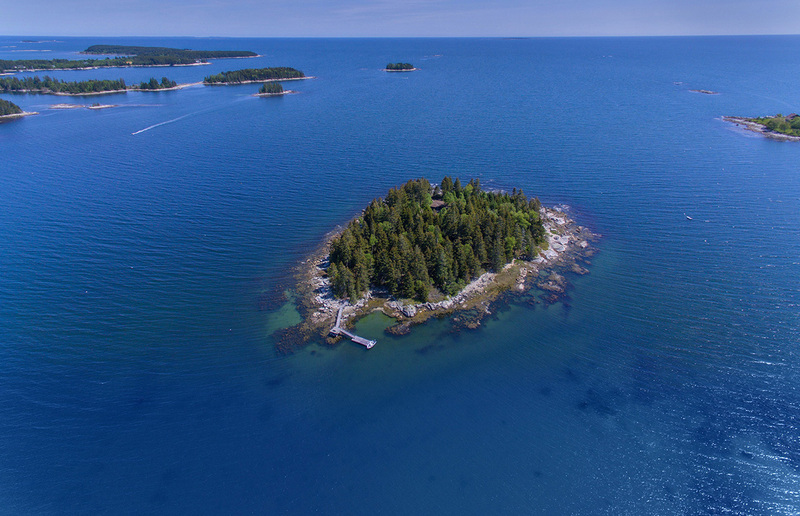 More money changed hands and suddenly Ram Island’s owner had another parcel of land on Scraggle Point, 200 yards away on the mainland with access to a shared boat-launch site. This was raw land with no buildings or amenities and many following summers were spent camping on Scraggle Point; sleeping under the stars and washing in the cold salty water of the bay in the morning. Now that the owner of Ram Island had somewhere to sleep, eat, and launch a boat, it was time to tackle the next problem(s): how, where, and what to build on the Island? A building site was selected on the southeast shore because of the elevated land, sunrise views, and vistas overlooking the open ocean. The owner was the architect for all of the buildings, reviewed of course, by a professional. Originally, the plans called for a grand Maine summer “cottage” but eventually this was deemed unrealistic and replaced by the more practical idea of a cluster of buildings located around a central courtyard. This arrangement appealed because it afforded greater privacy for residents and visitors, and most importantly, it suited the islands’ logistical building constraints. 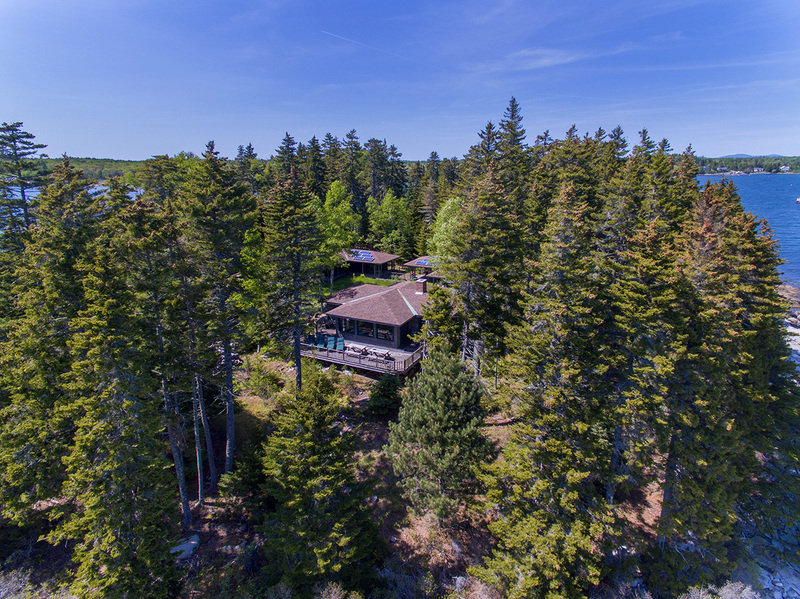 The weather-dependent building season on Ram Island operated roughly from May through October and it would be impossible to complete the building process for one large home in this short span of time. 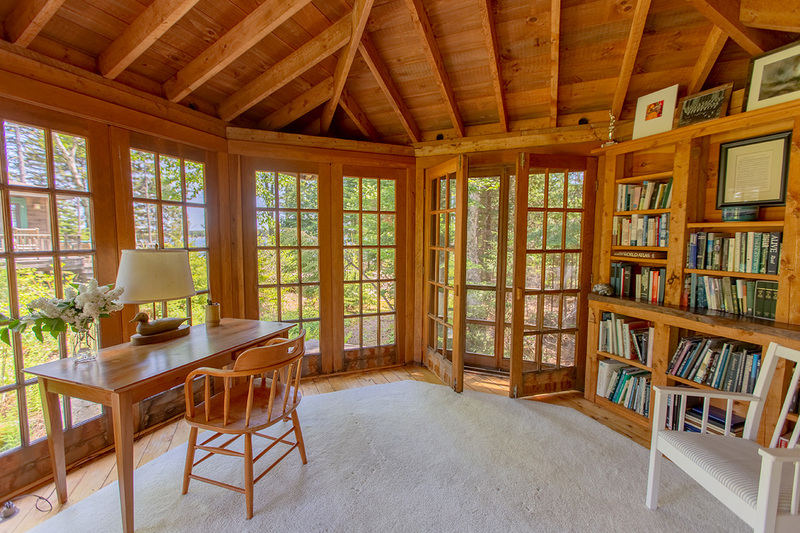 A plan emerged to construct one habitable building each summer, around the courtyard, thus allowing each one to be completed and enclosed before the onset of Maine’s long winter season. Five buildings were eventually completed over a five-year period. This was back-breaking work and required a large barge to be loaded with supplies (lumber, bricks, shingles, windows) and carted across the bay where everything was unloaded by hand and carried to the building site. The barge was then sent back to the mainland full of discarded packaging and waste materials. In 1998, the same barge carried seven tons of soil and gravel required for landscaping. All of this was hauled by wheelbarrow (many, many trips) and distributed appropriately around the island. Ram Island is, and always has been, a self-sustaining island. Solar panels were installed in 1985, innovative at the time, and were fully upgraded in 2010 to modern standards. Rainwater is collected in large cisterns for cooking and bathing; and propane tanks are filled once a year to power the cook stove, refrigerator, hot water heater, space heaters, and generator. Today the island remains a beautiful and charming compound. 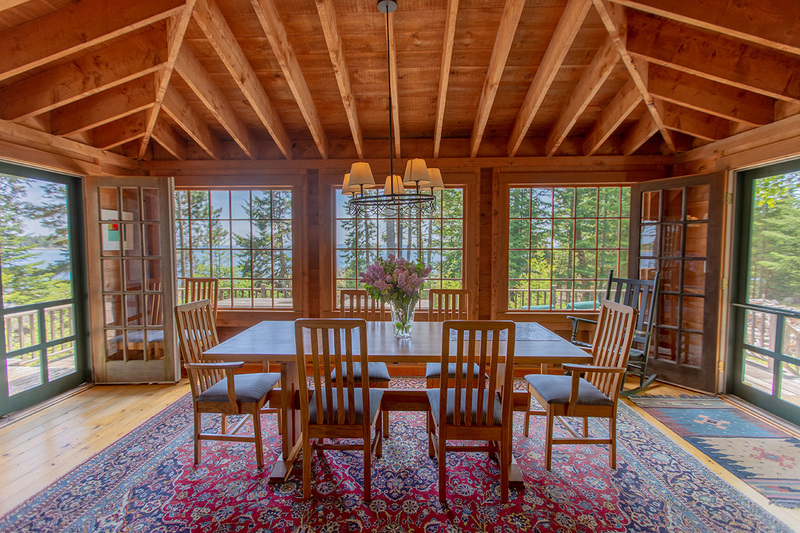 It is just minutes by boat from the mainland with views over the open ocean to the south. 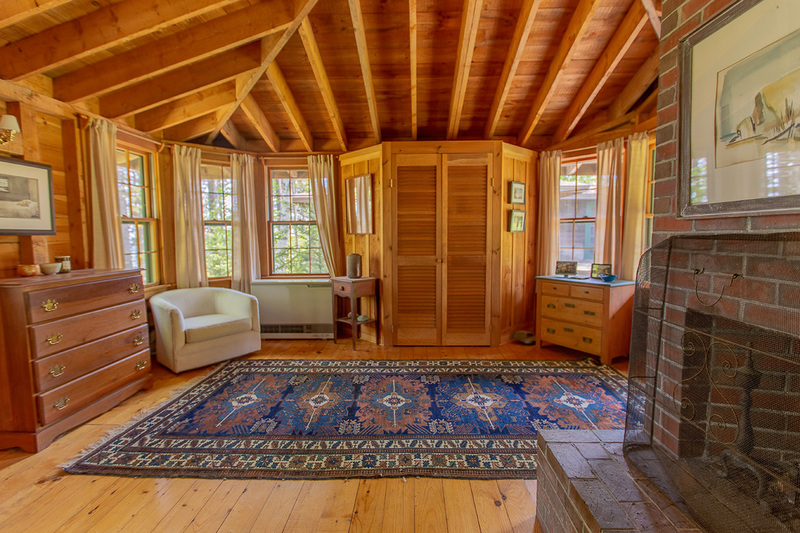 The bedrooms offer retreat-style privacy and the common area is warm and inviting. The island has served as host to many lobster bakes, casual barbecues, elegant parties, and two large weddings. Two beaches provide areas for swimming, kayaking and clamming and a well-maintained, canine-friendly walking path traverses the island. 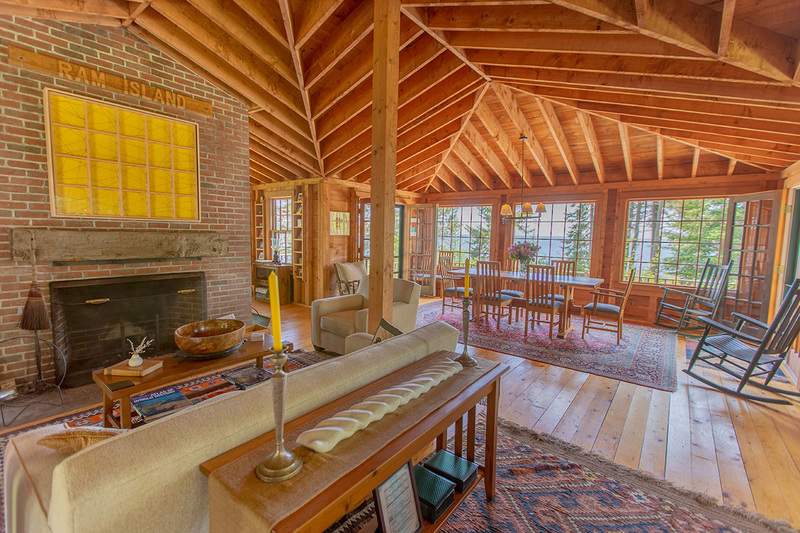 Today’s owners enjoy a tremendous sense of community among neighbors in Wheeler Bay. What began on a whim back in 1979 has evolved into a one-of-a-kind island retreat with opportunities for generations to come. For additional information about Ram Island, please contact Joe Sortwell, jsortwell@landvest.com or Terry Sortwell, tsortwell@landvest.com in our Camden office, 207-236-3543.